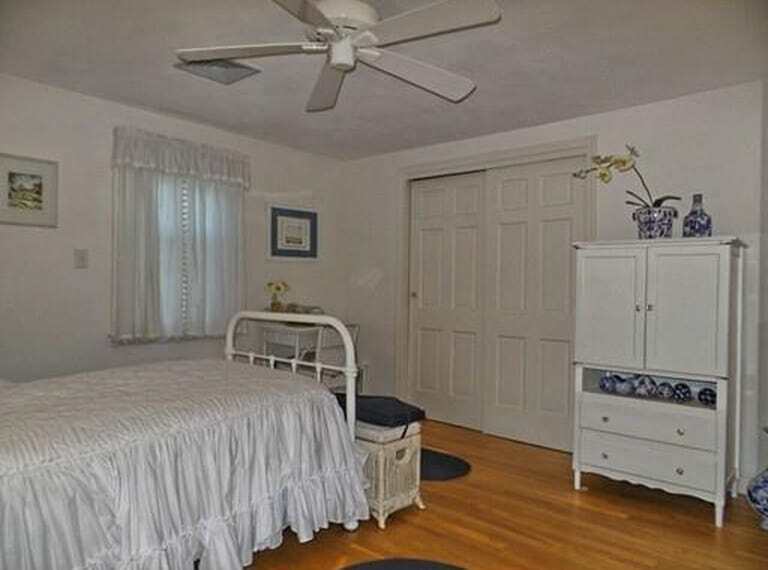 The bedroom was dark, dated and cramped. Definitely not my cup of tea! 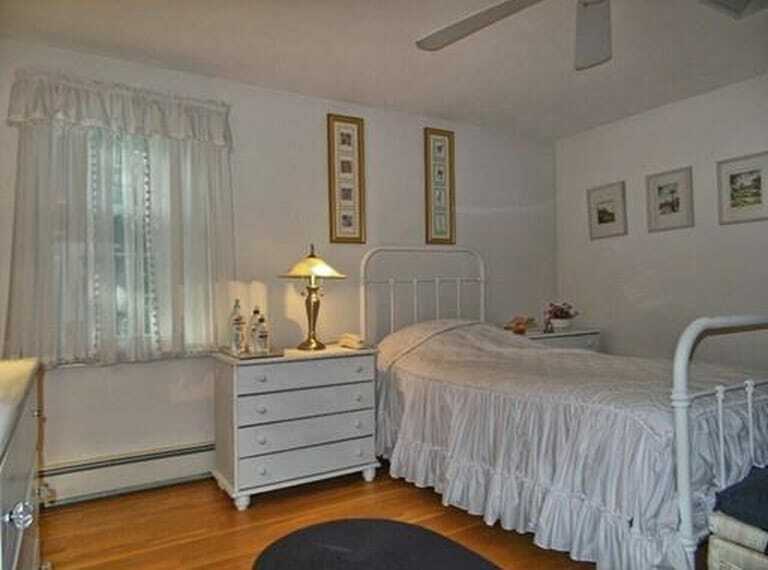 I’m not sure why these listing photos even tempted me to view the house, but they sure do show why there was little interest in the house and the price was drastically reduced! Now let’s take a look at the direction I’m taking for this makeover! I’m not really sure how to put my style into words. I like a little bit of everything but I’m not overly trendy. I guess you could say my style is traditional with rustic and contemporary elements? Something like that, anyway! 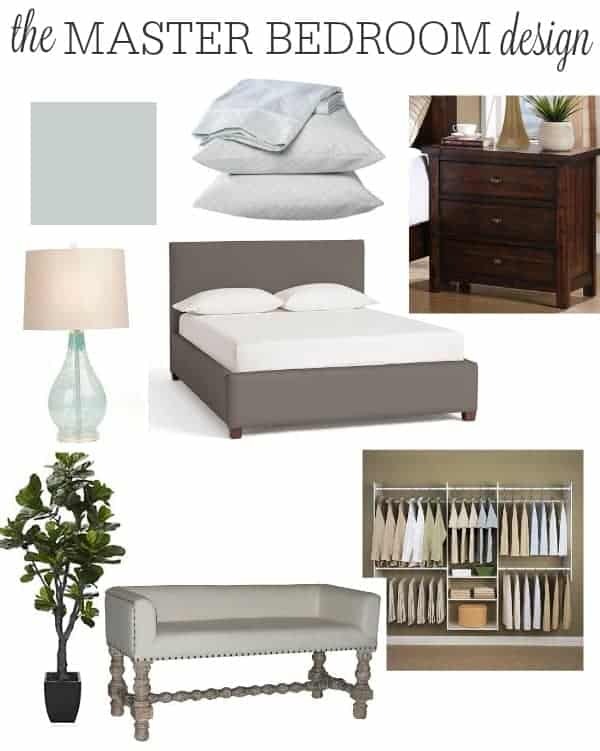 We already have the bed from our first house, and the lamps used to be in our old living room, but everything else will be new. The part I’m most excited about is installing a closet system. 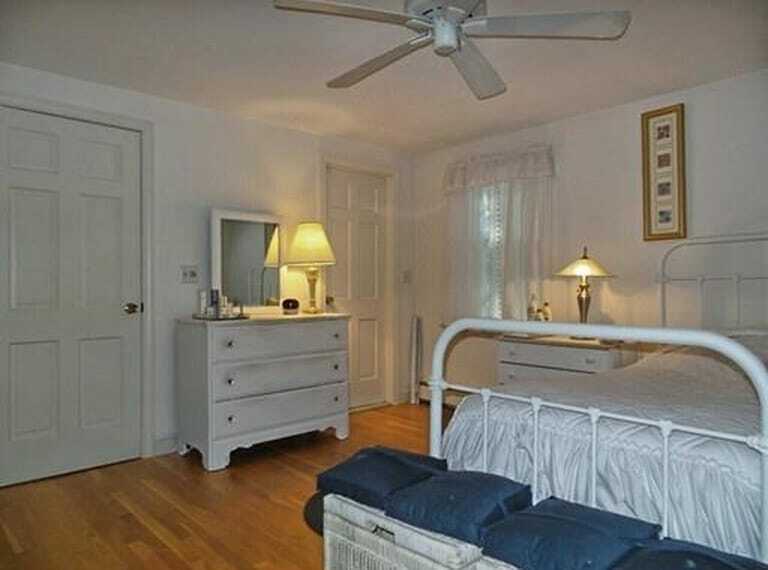 A closet with sliding doors and one clothes rail does not really work for me! By the way how beautiful is the paint color I chose? 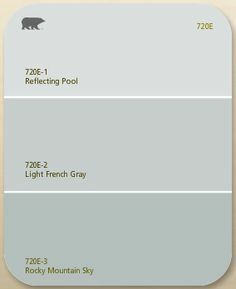 It’s Light French Gray by Behr and it’s the perfect blue-gray. We had previously used Reflecting Pool in the bathrooms in the our first house, so I knew this slightly darker version would be amazing. We actually painted the bedroom back in February when we had the painter here and I absolutely adore how it turned out. I’ll be sharing the installed closet system with you on Wednesday so be sure to check back for all the pics and details!